It's official – the Nobel Committee endorses Dr. Luc Montagnier (and not Dr. Robert Gallo ) as discoverer (or inventor) of the Aids… I mean… HTLV-III … I mean, LAV… "virus." But which is it? LAV, HTLV-III, or HIV? why all the name changes? Why the quotation marks? Why the bad attitude toward our esteemed Dr. Luc? Perhaps some of you will be kind enough to come along and help tell the story of Dr. Montagnier, and his amazing "discovery" – stimulated cell-cultures, swollen lymph nodes, window-dressers, and all. In the meantime, a few quotes to get you started. See if they make you scratch your head even in the slightest, as you try to stick to the orthodox definition, of "Sida." (That's French, you know, just like Dr. M.). Montagnier: "We saw some particles but they did not have the morphology [shape] typical of retroviruses … They were very different. Relatively different. So with the culture it took many hours to find the first pictures. It was a Roman effort! It's easy to criticise after the event. 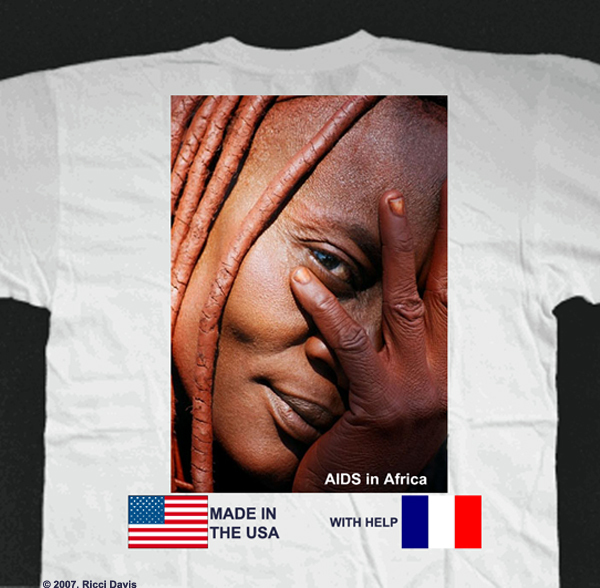 What we did not have, and I have always recognised it, was that it was truly the cause of AIDS." Interviewer: So the stage of purification is not necessary? Montagnier: "No, no, it's not necessary." Montagnier: Gallo? .. I don't know if he really purified. I don't believe so. Complex stuff! So, what is purification? What is LAV? And what did it do? What was HTLV-III, and where did it come from? What were the proteins from the HTLV-III experiments used to make and manufacture? But, after all, what does it matter. Sweden has spoken – Montagnier says he didn't need to purify [isolate a virus], and he won the Nobel Prize! (Not Bob Gallo ). So, I guess we're going with Luc Montagnier's definition of "Sida" from now on? Well, hold onto your hats, and leave your worries behind, and make sure you've got a smile on your face – because it's not the "LAV" that's causing your "Sida," it's…. Montagnier: "I think we should put the same weight now on the co-factors as we have on HIV." But, what's a co-factor? Is this a cofactor? Do co-factors cause Sida? What a slap in the face to Gallo. The whole reason these microbe hunters embarked on this microscopic wild goose chase was to: (a) develop a vaccine and (b) win a Nobel Prize. Two strikes and you're out, Bob! October is National Pregnancy and Infant Loss Awareness Month, in recognition of families who lost babies to miscarriage or stillbirth. But this year the somber nationwide gatherings marking the occasion are also filled with hope– for new legislation that could go a long way toward preventing these tragedies. This ScienCentral News video explains. Now, now, we know M. Montagnier will use his pot of gold only for the good. Or however you say that in French. Nooooooooooo! It's mine I tells ya! I slaved over that package and didn't even use a paper knife or anything! The Nobble committee sits there on its loathesome, spotty behind, squeezing blackheads, not caring a tinker's cuss for a struggling virologist. They're excr%ment with their Tony Jacklin golf clubs and their bleedin' Masonic handshakes. Well I wouldn't be a Nobble prize recipient if you got down on your lousy stinking knees and begged me! "Frequent detection and isolation of cytopathic retroviruses (HTLV-III) from patients with AIDS and at risk for AIDS.Gallo RC, Salahuddin SZ, Popovic M, Shearer GM, Kaplan M, Haynes BF, Palker TJ, Redfield R, Oleske J, Safai B, et al"
"Retroviruses belonging to the HTLV family and collectively designated HTLV-III were isolated from a total of 48 subjects including 18 of 21 patients with pre-AIDS, three of four clinically normal mothers of juveniles with AIDS, 26 of 72 adult and juvenile patients with AIDS, and from one of 22 normal male homosexual subjects"
¿where is the hiv of the 3 people WITH pre-AIDS BUT THEY GET AIDS?